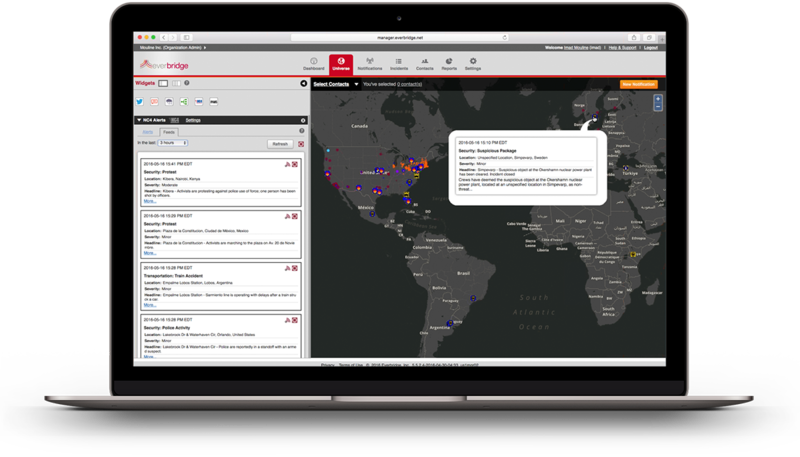 During business disruptions, with Everbridge, you can make sure that business continues and that employee accountability is ensured by issuing alerts to coordinate response teams, initiate conference call briefings, execute recovery plans and provide regular updates to key stakeholders. 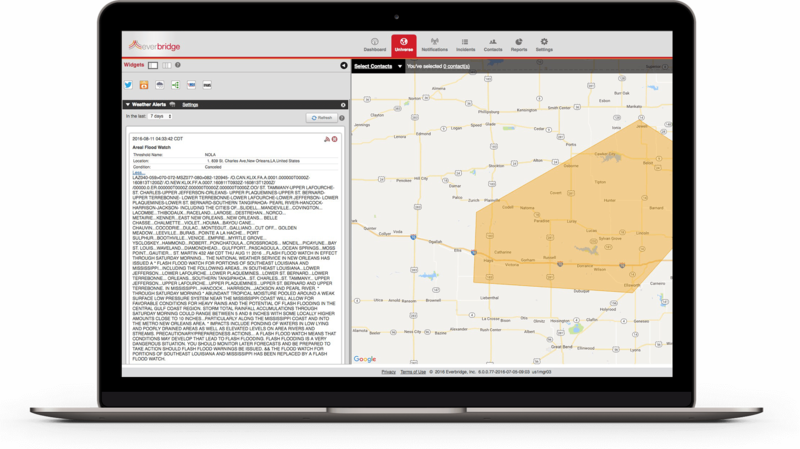 Keep key stakeholders informed of critical events and initiate "on-the-go” mass notification and incident management with the Everbridge mobile application. Make sure your customers are aware when a crisis or issue has occurred. Proactively notify customers, based on their contact preferences and subscriptions, to decrease the likelihood of them flooding the call centre. Everbridge app lets you instantly assess who is in the building based on badge access, network connection and static office location. It automatically keeps employee locations current even when they are traveling internationally or moving between buildings and campuses. Quickly communicate via SMS text, voice, mobile app, to help protect their safety and direct them toward what specific actions to take. Target specific locations with the right message. Employees can utilise our SOS mobile application to immediately notify security teams and collect pictures and videos. Organisations can collaborate via conference bridges to coordinate the response plan.